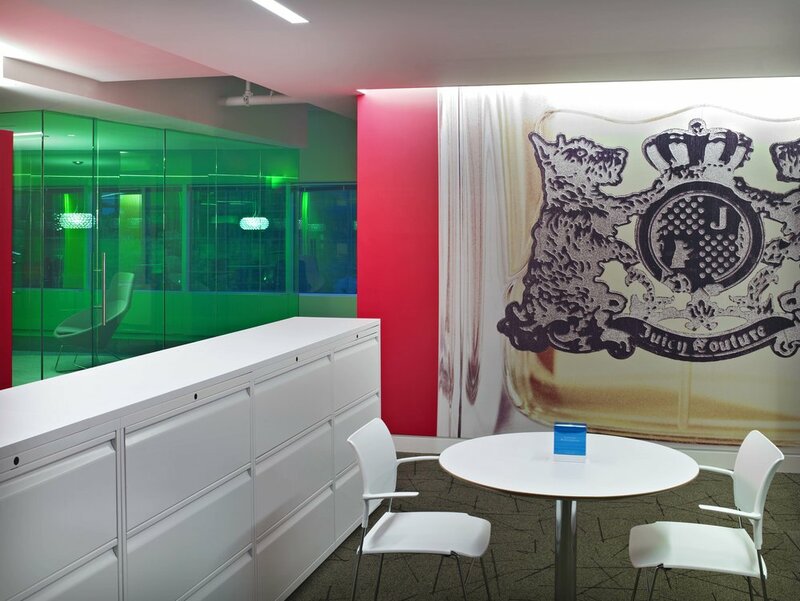 Highland Associates continued its relationship with Elizabeth Arden with the completion of a 50,000 square foot build out and rebranding. 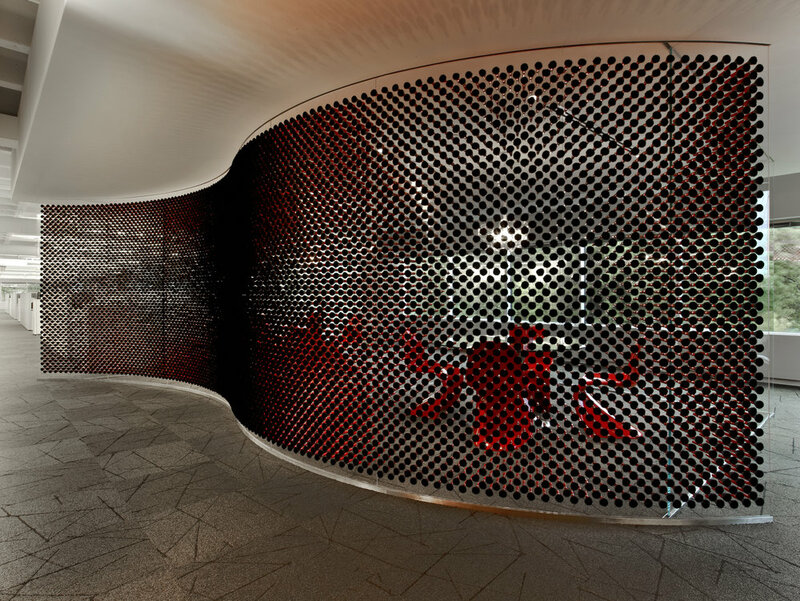 A plethora of ideas, big and small, are highlighted in the new, museum quality installation for Elizabeth Arden's office in Stamford, CT. Beauty products are used continuously as architectural metaphors. 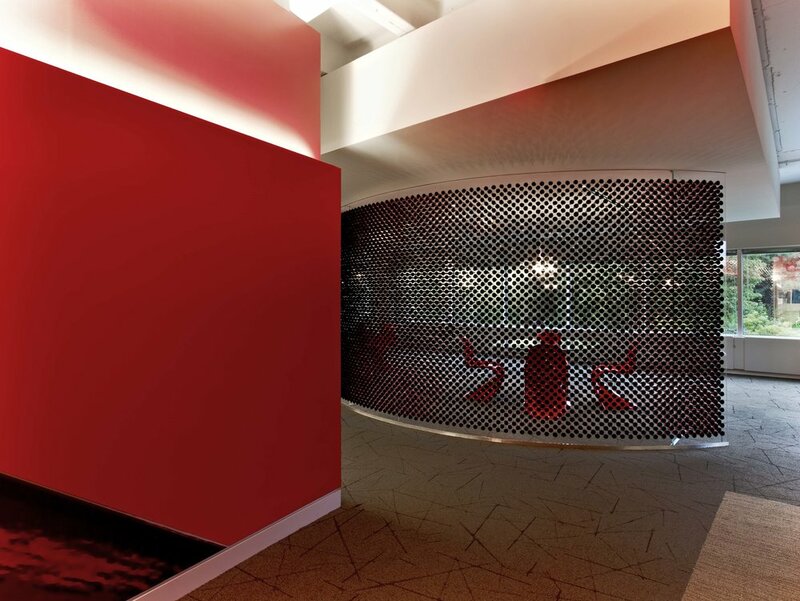 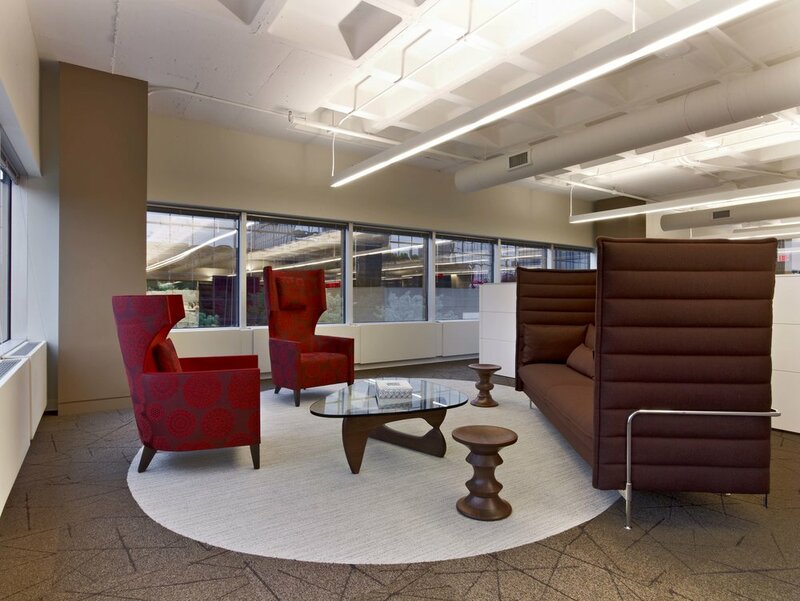 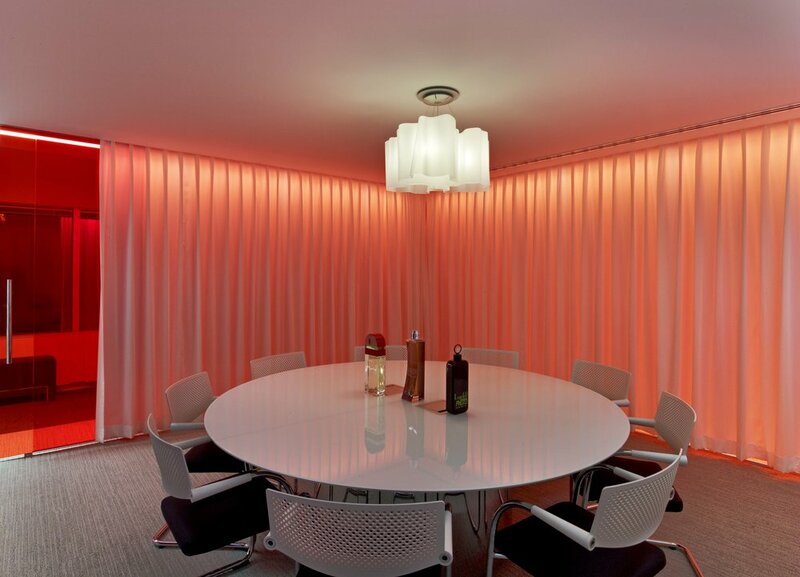 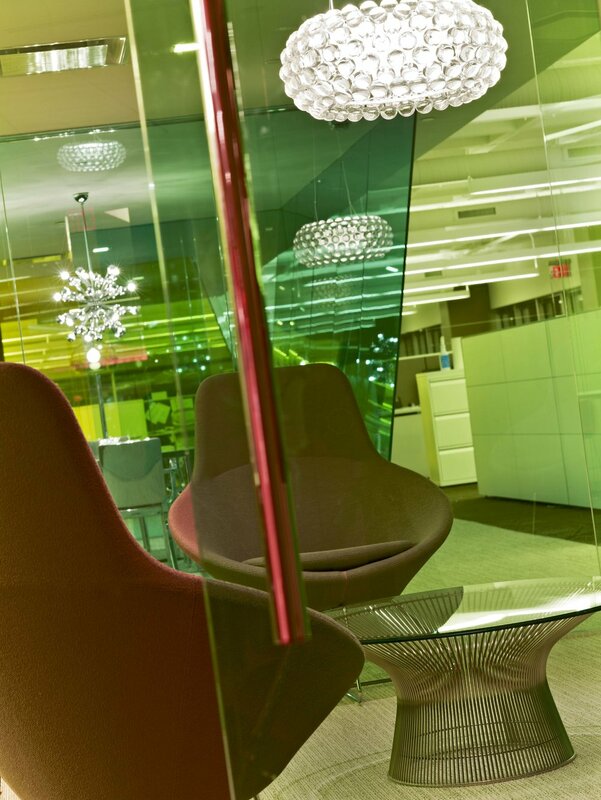 Highland created tinted conference rooms meant to reflect perfume bottles. 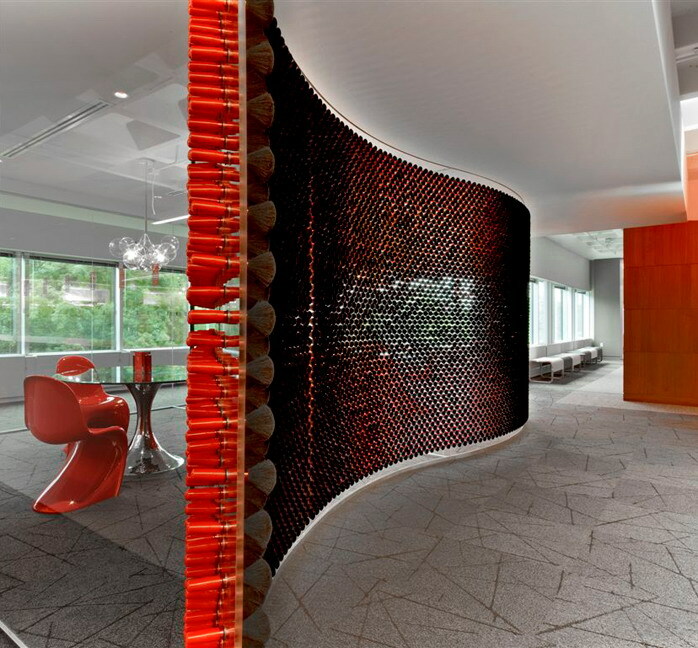 A 40-foot curving acrylic wall made with 8,000 real makeup brushes was also created and can be viewed from the reception area. 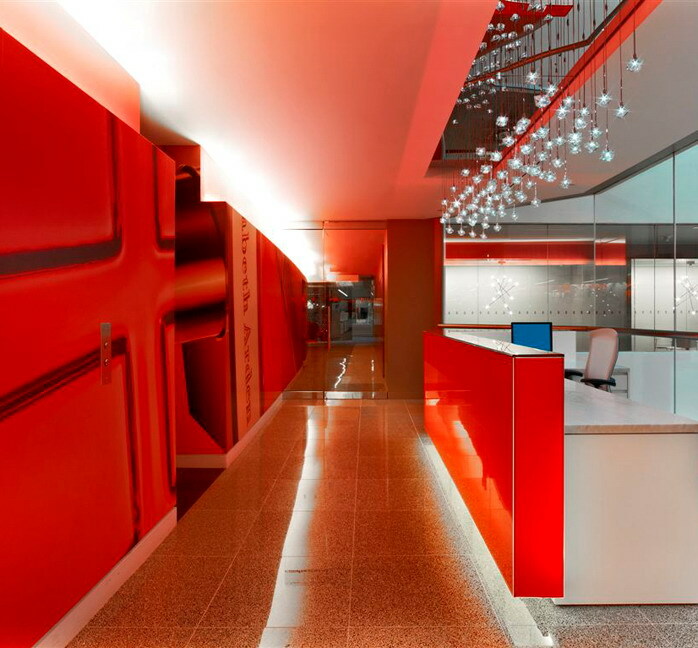 Supergraphics of product shots were used across the building atrium giving the space color and energy. 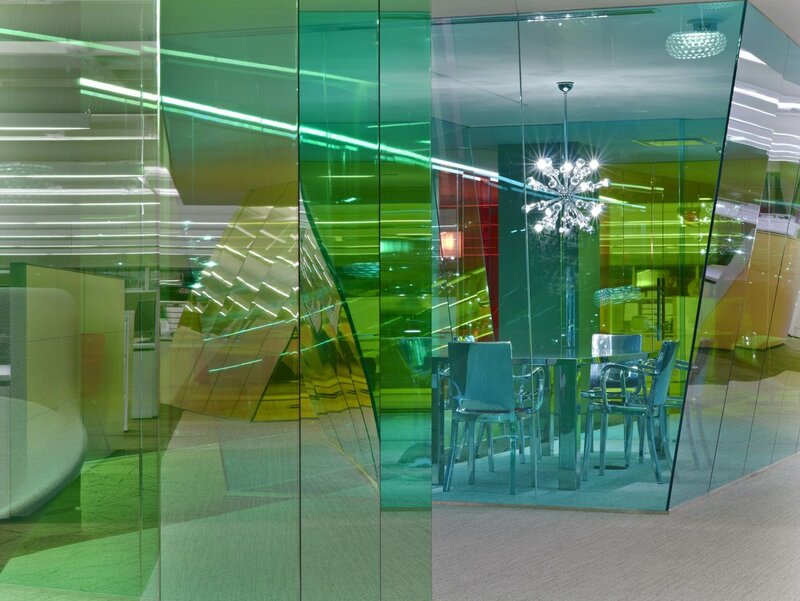 The focal piece of the space is a rectangular chandelier made of LED lights integrated into real, glass perfume bottles.